After working in management for a while, you will be familiar with the distinction between things that are urgent and things that are important. You can chart these things in a little overview to see where you are and ensure you continue to work on the important things and not get too distracted by the urgent things that have a tendency to soak up all available time from management. One issue however is that the urgent things also have a tendency to cause lots of noise when are not taken care of. 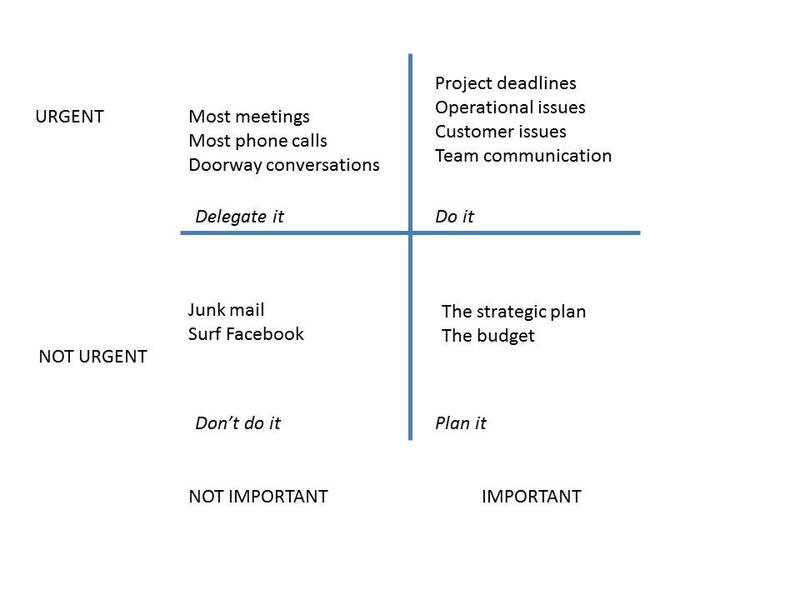 In order to strike a balance between the important and the urgent issues in front of you, it is helpful to chart it. We call this the noise chart. It is a helpful tool to chart and present and help your team, or a senior team, decide on the course of action or at least manage the expectations about the outcomes of an intended course of action. The more urgent it is, the more noise it will generate in the organization, with the customers, or at home (depending on what topic we are working on). Another management use of the “noise chart” however is when you convert it to support decision taking about the direction of a complex project. Noise can be seen as potential unrest in the organization or with the customers. Importance can be translated in monetary value of the alternatives. 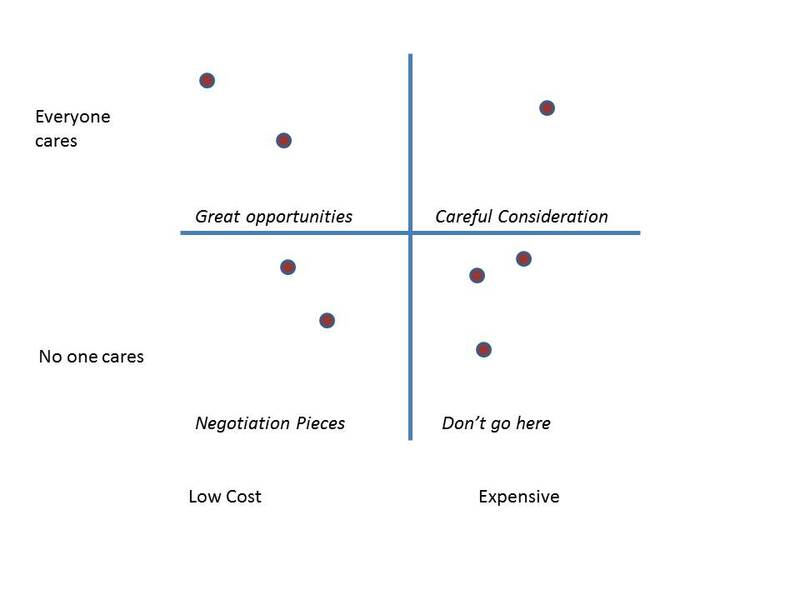 Every dot on the chart represents a proposal that your employees/customers care more or less about. On the other axle the dot indicates the cost for the company to accomplish this feature represented by the dot. Whether you are talking about redesigning the benefit plans for your company or redesigning the next mobile phone, the choices can be either benefit plan features or parts and functions of a phone but the utility remains the same and it is a great management tool to bring some perspective and move from discussion to decision.